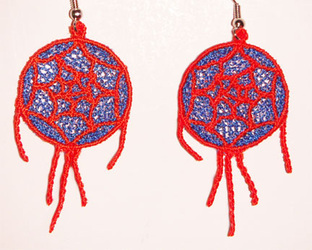 Dream Catcher Earrings are unique gifts. A dream catcher is much more than just a simple gift, it tells the person you give it to that you care about their well being and peace of mind. 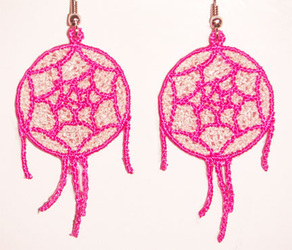 Keep the good dreams close and those bad dreams away! 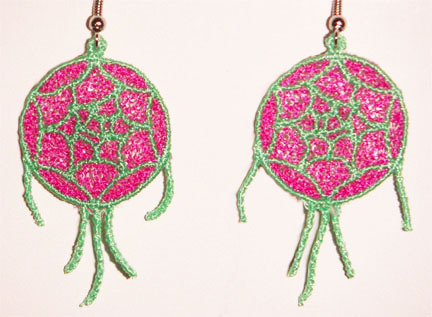 These earrings are 100% embroidery thread.